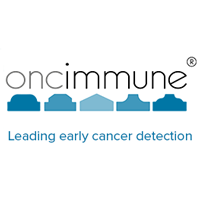 Oncimmune Holdings plc (LON: ONC), a leader in the development, manufacture and commercialisation of personalised immunodiagnostics for the screening, detection and care of cancer, have announced today that it will be hosting a science day for analysts and investors at the Royal Institution, 21 Albemarle Street, London, on Wednesday 23rd January 2019. The event will commence at 3pm GMT followed by a reception at 5.30pm GMT. The afternoon will feature presentations from Dr. Adam Hill, Chief Executive of Oncimmune Holdings plc; Professor Peter Johnson, Director of the Southampton Cancer Research UK Centre; Professor Tariq Sethi, Vice President AstraZeneca RIA TMU and Emeritus Professor of Respiratory Medicine Kings College London; Professor Frank Sullivan, Professor of Primary Care Medicine at the University of St. Andrews; Dr. Cheung To, Co-founder and Chairman of Gene Group Co. Ltd.; and Dr. Andrea Murray Chief Operational Scientist of Oncimmune. In addition, Oncimmune’s Board of Directors and members of its newly formed Scientific Board will be in attendance. Discussion topics will include stratified cancer care based on tumour characteristics and the tumour micro environment focusing on the role of autoantibodies; opportunities for collaboration and partnerships between Chinese and UK companies arising out of the China Precision Medicine Initiative and the experiences of two companies forging a successful partnership; delayed presentation of cancers in primary care and the Early Detection of Cancer of the Lung, Scotland (ECLS) trial which will report in April 2019. For further information, or to register for the event, please contact Consilium Strategic Communications on oncimmune@consilium-comms.com or +44 (0) 203 709 5700.